As it’s a Bank Holiday weekend, here is a tasty little wine to have with, why not? chicken! It’s called The Widow Hen and comes from the Australian producer Wirra Wirra. I have written about Wirra Wirra before and as you may recall, it was founded by a rather eccentric fellow, Robert Wigley. The story goes that The Widow Hen got its name from a boisterous rooster that insisted on crowing when the sun came up. This rooster’s crowing always awakened Robert far earlier then he preferred and one day he took axe in hand and that was the end of the rooster. Robert got his sleep but there were a lot of sad hens moping around the chicken coop. 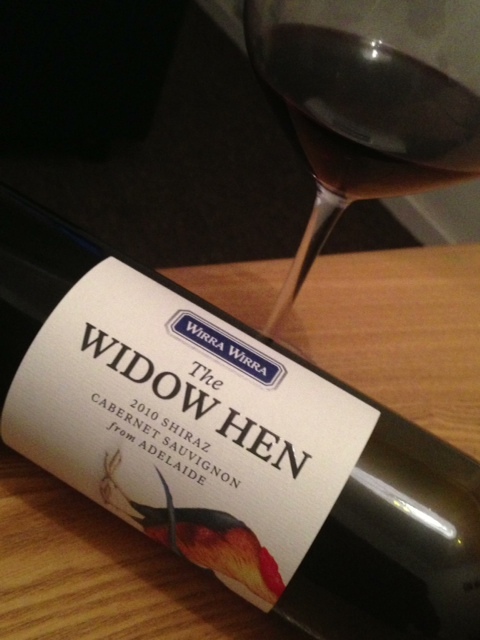 The current winemakers of Wirra Wirra liked the story so much that they named The Widow Hen in honour of it. A shiraz and cabernet sauvignon blend, it’s easy going, full of red and black fruits on the palate and quite simply, delicious. I had this with a roast chicken and suffice it say, it was very good. The Widow Hen to go with a plate of hen, so to speak. You can get the 2010 Wirra Wirra Widow Hen from Ocado, rrp £9.99.